I have to say, seeing your work in print is pretty darn cool and the fact that this project means so much to me and is part of my story makes this particular feature even more special. A few years ago, my grandma passed away. We called her Noni. She was beyond special. The kind of lady everyone loved to be around because she has the most gigantic heart you could ever experience. She definitely influenced my love of decorating in a huge way. She had a style all her own and it was clear that decorating her home and making it look and feel amazing was never about what other people would think. It was purely out of the desire to make her home feel good to her and her family and to have it be a place where everyone could gather and make memories. The importance of “making a home” trickled down to my mom, and then on to me and it is one of the traits I’m most proud of. When she passed away, it was important to me to bring one of her belongings into my own home. She had this cabinet in her entry and I always loved the way it looked (although the dark wood wasn’t really my thing.) I took it anyway knowing that my Noni, who loved to change things up, wouldn’t mind at all if I put my own unique spin on it. 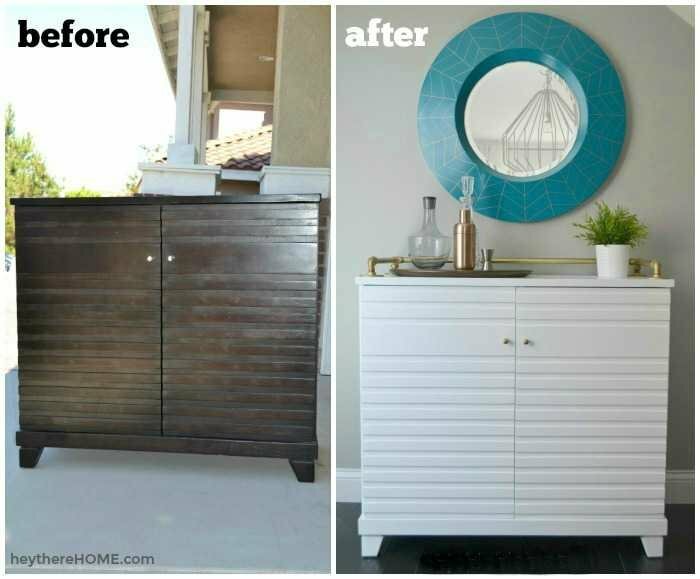 What once was a dark wood cabinet that sat in her entryway as extra storage space, became a funky little bar cart in my dining room! You can see this project from start to finish here. So how did it end up in the magazine? It’s sort of a funny thing. When you write on a blog some posts get popular right away, some take awhile to gain momentum, and some never do. This was one of those posts that didn’t get much attention at all, but for me it’s not just about posting what I know might be popular. 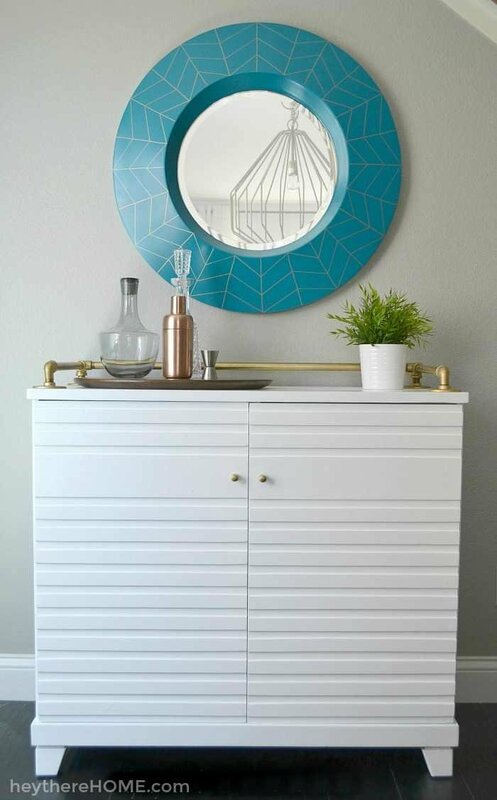 It has always been about creating a home that we love and sharing those ideas to inspire others to do the same. 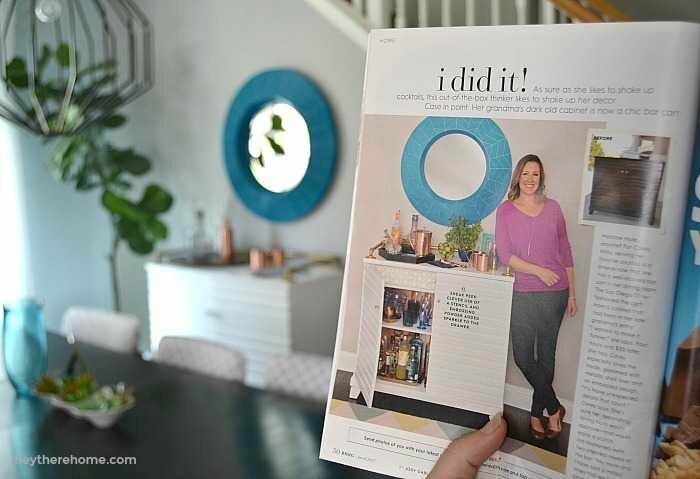 Then late last year Better Homes and Gardens reached out to me to see if they could feature the project and in December sent out a photographer and stylist to capture the shots for the magazine! Pretty cool to say the least. What can I say, this job I have is so. much. fun! A big thank you to everyone who has supported me along the way and sent me their virtual high-fives! You all are the best! 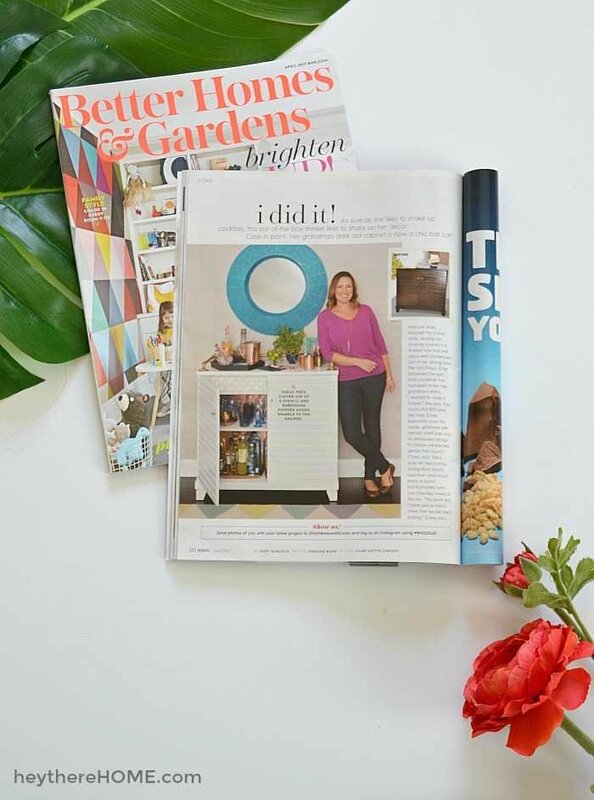 Want even more behind the scenes of this feature including what I’ve learned about gaining inspiration from magazines? I spilled all of it in a short video over in my private (but free) Facebook group, Hey There Homies! >>CLICK HERE to request to join and to see the video. Just opened my BH&G and sure enough….It’s You. Congrats. 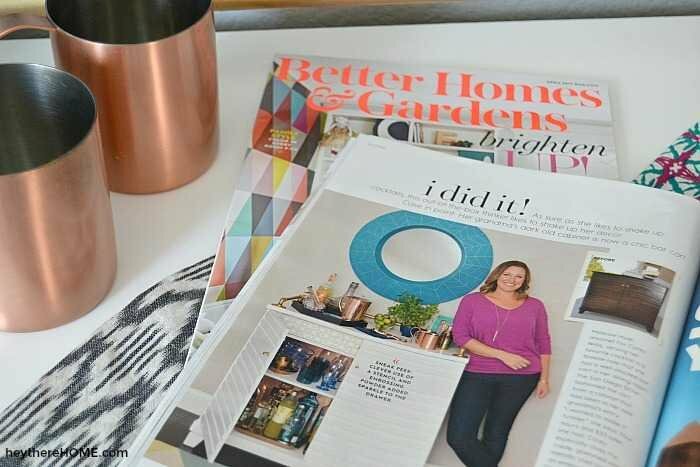 Congratulations on your feature in Better Homes and Gardens! How exciting!!! !